Pump up that party with style simply by wearing stylish walking suits by Canto menswear. Canto makes two piece walking suits in a whole variety of fancy pattern fabrics and styles with a loose full cut. 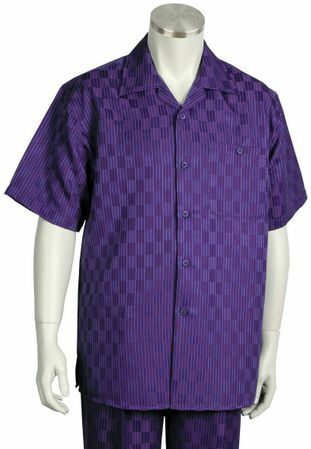 This purple checker short sleeve set comes with the matching pants in the same fabric and is made of poly/rayon suit material.